‘It was the best of times, it was the worst of times’ – the iconic beginning to Dickens’ tale of contrasts, and an exact description of the last twelve months of my life . 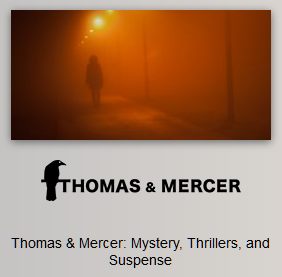 . .
On a drab day in October 2013 I got an out-of-the-blue phone call from Emilie Marneur – a Senior Acquisitions Editor at Thomas & Mercer – expressing her interest in my Gabe Quinn Thrillers Series. She asked if I had any new GQ material in the pipeline or even nearing completion, as she was considering my books for the Amazon Publishing imprint. Talk about bad timing! I’d self-published the third GQ installment literally the week before her call and had nothing to offer (dang it! ), except for a scatty head full of scattered ideas. Not to be put off, Emilie asked if I would be willing to write a brand new thriller instead, one she could then consider for the T&M label. 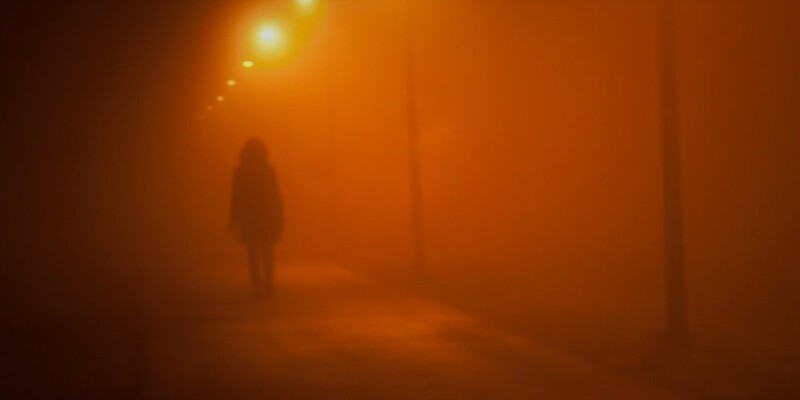 It could be either a standalone thriller or the start of a new mystery series; it was up to me. Her only requirement was that whatever I wrote had to be in a similar vein to my current work and preferably in the first-person (after all, that’s what my readers liked) but equally able to stand on its own two feet as an independent work. I was gobsmacked. The Universe reached down and patted me on the back. Writing something completely new would mean putting my planned penning of Gabe Quinn 4 on hold for at least nine months. It would mean disappointing Gabe’s hard-core fans, who were eagerly awaiting his next outing and grilling me about it. It would mean scrapping my schedule and starting afresh. It was a scary thought. I was comfortable with Gabe. We related. I had the concept for GQ4 loosely worked out and was raring to go. But I couldn’t pass up the chance to be signed – not when being officially published was everything I’d worked towards for the past thirty years. I had no idea what I’d let myself in for. Challenging doesn’t even come close. After much debate, I decided to write a standalone thriller, and spent the next three months trying out one story line after another. The going was tough and nothing felt right. Each started out promising, but soon fell short of the standard I’d set with GQ. The problem was clear: I’d been writing Gabe for eight years and his was the only voice I heard in my head when I wrote. Each new narrator started out with good intentions, but soon started sounding like a seasoned cop from Tennessee. Not ideal. If I wanted to make any progress at all I knew I’d have to do something radical to completely erase Gabe from my brain. And so I experimented with different styles, coming at it from all angles, until finally opting to write in the present tense. I’d never written anything before in the ‘happening right now’ format and, looking back, I couldn’t have set myself a bigger mountain to climb! Sometimes the Universe has other plans for us. On a windy day in March, and after dumping all the previous false starts, I set to work, spending the next few weeks putting together the opening chapters of my new novel (essentially setting the scene, the plot and introducing the main characters). 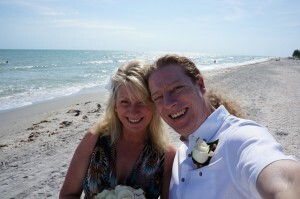 Then, in May, and after a fourteen-year engagement, Lynn and I fulfilled our dream of marrying on Sanibel Beach in Florida. It was the happiest day of my life. The best of times. We’d taken Lynn’s mum and my parents with us to share in our celebration and, aside from not having our children there due to work commitments, it was perfect. Energies renewed and happy to be a husband, I returned home to continue writing my standalone, determined to do the best job I could for Emilie and prove myself worthy of the imprint. It was June and all was going well. A few hiccups, but nothing major. I was halfway through the novel and really beginning to get to grips with the new style. I could see it being done for September, right on time. All systems were go. Then, on the last day of the month, my son died. I was devastated. A hole opened up in the Universe and sucked me in. His death came unexpectedly and completely floored our close family. He was 24. 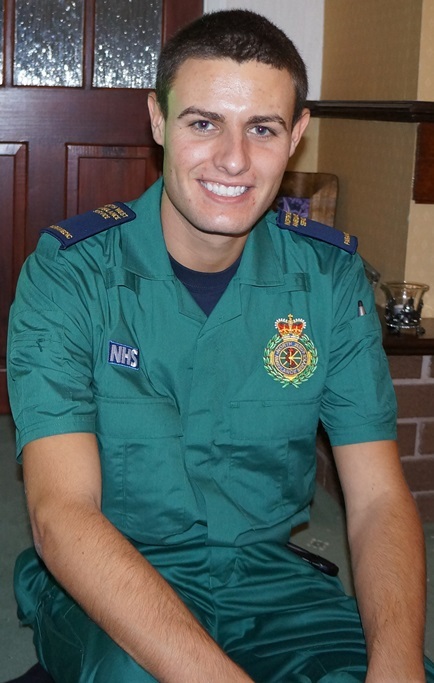 A paramedic who saved lives. He was dearly loved and his passing ripped out our hearts. It was the worst of times. Every parent’s nightmare. Aside from the epitaph on his headstone, I didn’t write a single word for the next two months. September came and with it my self-imposed deadline to finish the novel. I didn’t want to write fiction again. I didn’t see the point. It wasn’t important anymore. I was done, in a dark place. Death puts everything in perspective. Suddenly, being published meant nothing. I’d gladly exchange all my success if it meant having my son back. Lynn reminded me that writing would refocus, be therapeutic and give me the strength to wade through my unending grief. She was right. Plus, Emilie contacted me again to say she was still considering my Gabe Quinn books for Thomas & Mercer. We met up in London and I explained my circumstances, and that I was well underway with the standalone. I took a big breath and promised to have it on her desk by the end of the year. As Gabe would say: sometimes I am my own worst enemy. And so, committed, I embarked on the second half of the novel, my head in a spin, emotionally-strangled and unable to string a single coherent sentence together. Those next forty thousand words were the hardest I have ever written. I still don’t know how I managed it – maybe with divine intervention, hopefully with my son watching over my shoulder – but I completed the standalone in late November and, after proofreading, had it sent off to Emilie by the middle of December. I didn’t know what to expect. I’d tried my best, given it my all, sold my soul, but I knew my brain had been frazzled for the second half and I wasn’t sure how things had turned out. Over Christmas, we waited on tenterhooks to hear any news from Emilie, fingers crossed, hoping for some good to come out of all the bad. Then, on January 9 2015, exactly three years to the day since I ran my very first Amazon promotion on ‘Killing Hope’, which launched my writing career and put me on T&M’s radar, Emilie called me up to offer me a publishing deal. And the Universe snapped back with a bang. All that pain, all those hair-ripping-out days, all those tears, all those self-doubts, all those times I wanted to throw in the towel, all were blown away in that moment. Listening to Emilie’s words coming down the phone line confirmed I’d done it. Made it. After 30 years of never giving up, I’d reached where I always wanted to be: published. It didn’t take away my unending upset, but it did give me a sorely-needed light at the end of the tunnel. 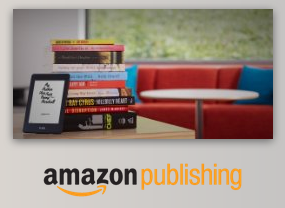 And so I am pleased to announce that my new standalone – yet to be officially named – will be published in September 2015 by Amazon Publishing under their Thomas & Mercer imprint. I am thrilled and scared. It’s going to be an exciting and interesting next few months, and even though my sense of accomplishment is overshadowed by the tragic events in the summer, I know my son would be proud of what I’ve achieved, as are the rest of my family. On one hand is the wonderful gain, on the other the incredible loss. In every way imaginable, my year has consisted of two contrasting halves with diametrically-opposed extremes. Bittersweet. Truly, the best of times and the worst of times. None of which would mean a thing without the love and support of my family, who I thank with all my heart for their encouragement, their spirit and their faith, in me. Thank you!! This book will be dedicated to the loving memory of Jason Houghton.